In a few weeks I’ll be headed to New York Design Week anchored by the International Contemporary Furniture Fair (ICFF) with BlogTour NYC May 2014 founded by Modenus CEO Veronika Miller. This whirlwind trip will be in collaboration with WantedDesign. 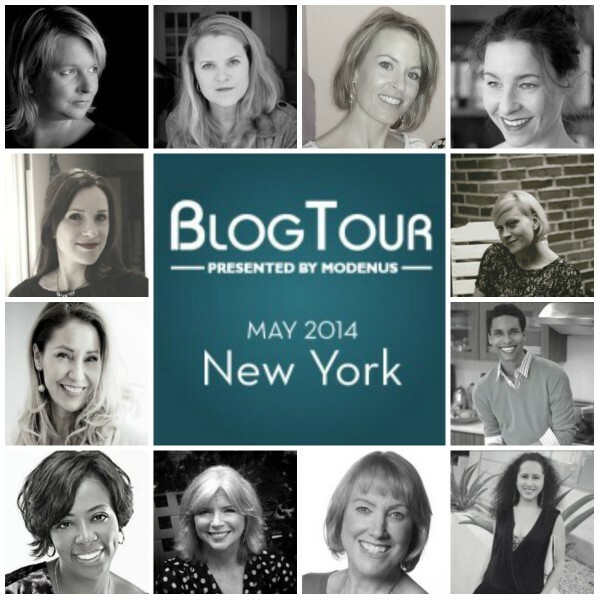 Eleven noteworthy bloggers from the US, Canada, Holland, England and Denmark will also be attending and posting updates. NYCxDESIGN is New York City’s official citywide celebration of design. Spanning all disciplines of design, NYCxDESIGN creates a collaborative platform for cultural and commercial opportunities, elevates established and emerging design practices and increases awareness of and appreciation for design by all audiences. Events are staged across all five boroughs, from convention facilities and galleries to design schools and public parks from May 9-20, 2014. WantedDesign is a premier creative destination for the international design community during NYCxDESIGN in May. Building on the success of WantedDesign’s groundbreaking debut in 2011, amazing programming and attendance in 2012 and 2013 (with more than 9,000 attendees last May), and various programming during the year to nurture NYC’s design dialogue, WantedDesign will continue to set the standard for international design curation with its fourth edition. The event will offer a 360-degree experience with innovative installations, memorable products, a pop-up store, interactive experiences, convivial lounges, thought-provoking student workshops, engaging discourse and more. Located in the exceptional landmark Terminal Stores building on 11th Avenue, WantedDesign offers participants and visitors alike a unique and dynamic experience and serves as a meeting point for designers, manufacturers, industrials, distributors, craftsmen, students, design institutions, the press and all design lovers. 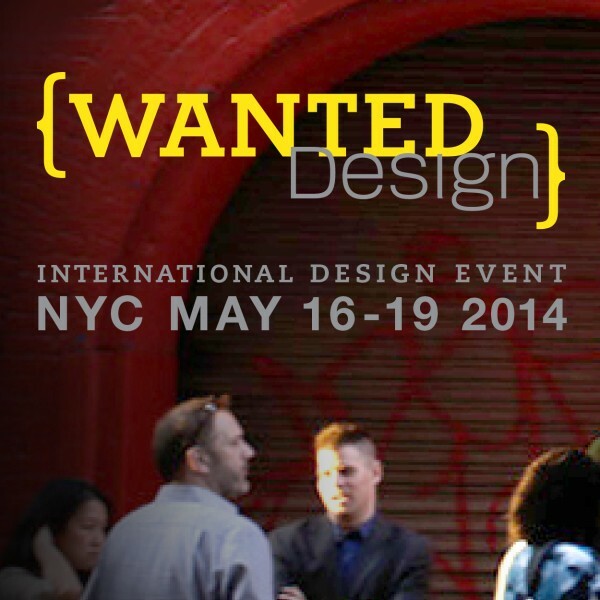 WantedDesign is actively part of NYCxDESIGN and aims to showcase New York as a dynamic and unique design destination. The 26th annual International Contemporary Furniture Fair (ICFF), North America’s platform for global design, will map the newest frontier of what’s best and what’s next in innovative and original avant-garde home and contract products May 17-20, 2014. Eleven categories will be showcased during the fair: furniture, seating, carpet and flooring, lighting, outdoor furniture, materials, wall coverings, accessories, textiles, kitchen and bath and fabricators. For the four-day duration of the Fair, 165,000 net square feet of the Javits Center will be abuzz with more than 29,500 interior designers, architects, retailers, designers, manufacturers, representatives, distributors, and developers. 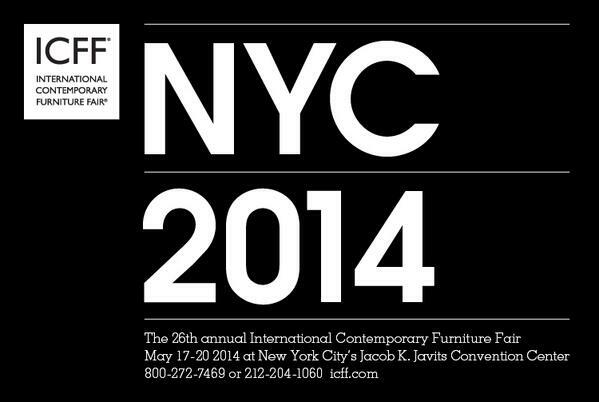 On Tuesday, May 20, the ICFF opens its doors to the general public, as well.